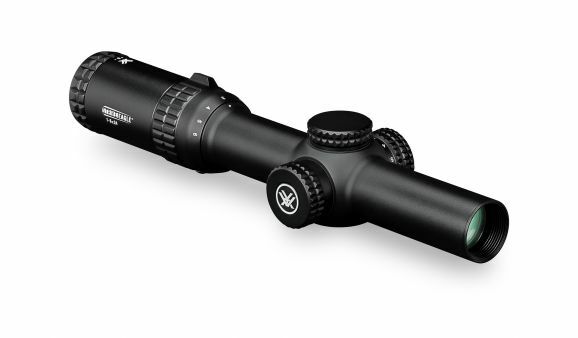 Speed and versatility - that’s what 1x variable optics offer AR shooters who need to engage targets from point-blank out to extended ranges. 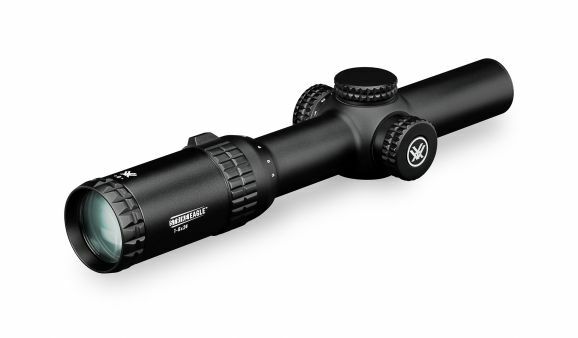 And that’s exactly what you’re going to get with Vortex’s new Strike Eagle 1-6 x 24. 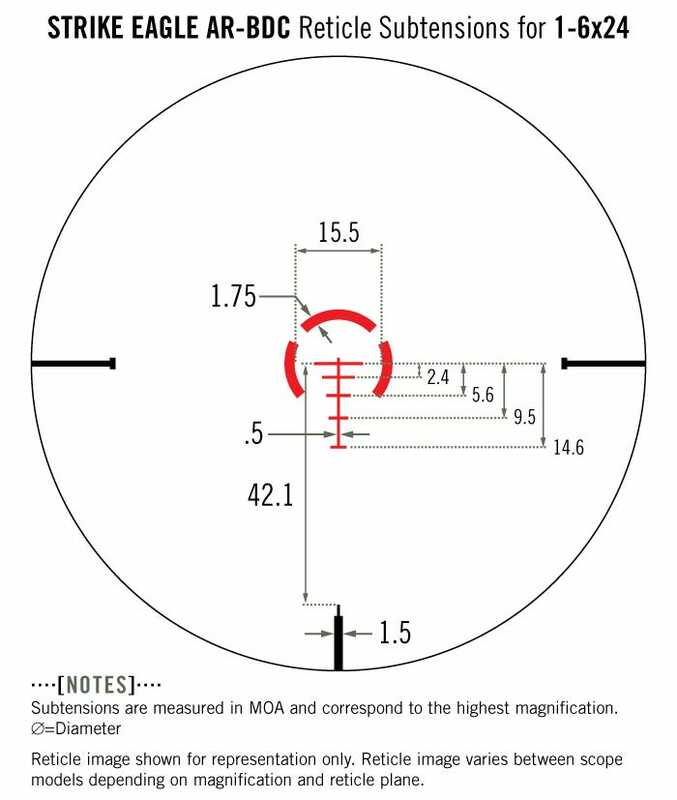 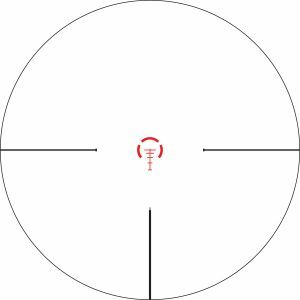 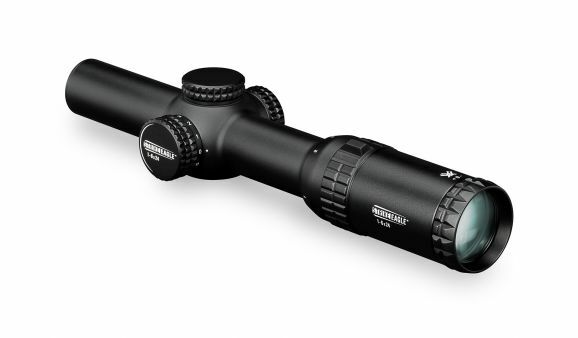 Subtension detail for Strike Eagle 1-6x24 riflescope with AR-BDC reticle.